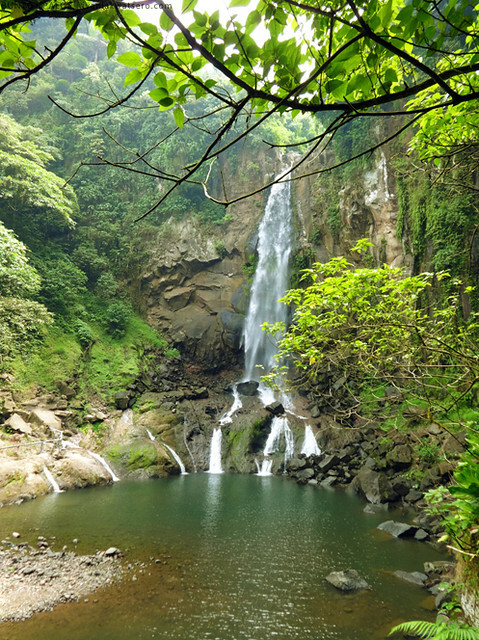 What else could battle the intense summer heat better than a cool waterfall escapade nearby? 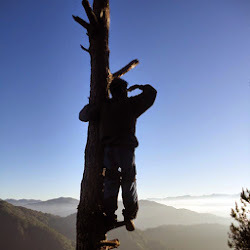 Considering our limited time and budget, we cannot simply escape into the coveted heights of the Cordilleras (kahit gustuhin pa namin). 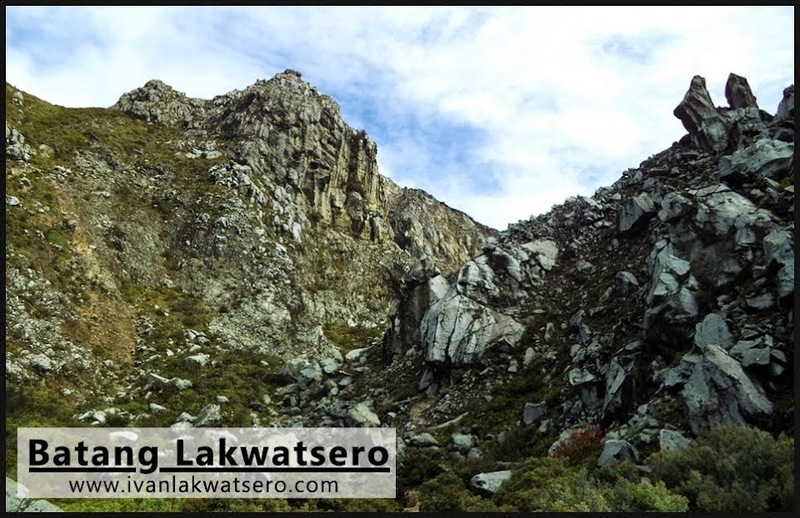 Good thing, Laguna, a province so blessed with many of this wonderful waterform, is just there nearby, reachable in a matter of a few hours drive. So we thought, Buntot Palos in Pangil, Laguna should be the day's destination. 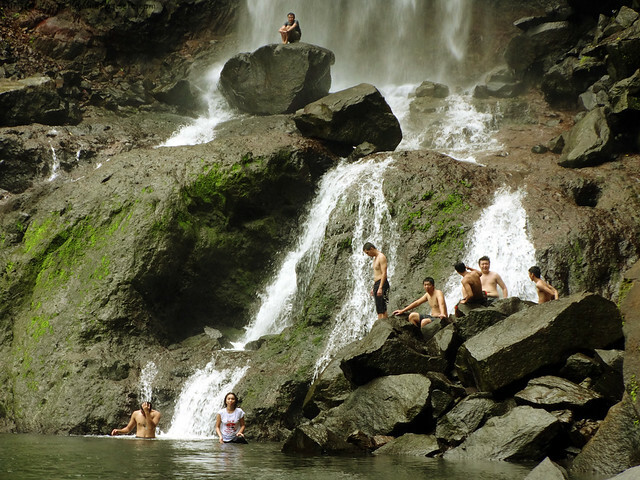 I quickly consulted the internet to see how it looks (Buntot Palos isn't really known widely, unlike its neighbor waterfall in Pagsanjan). 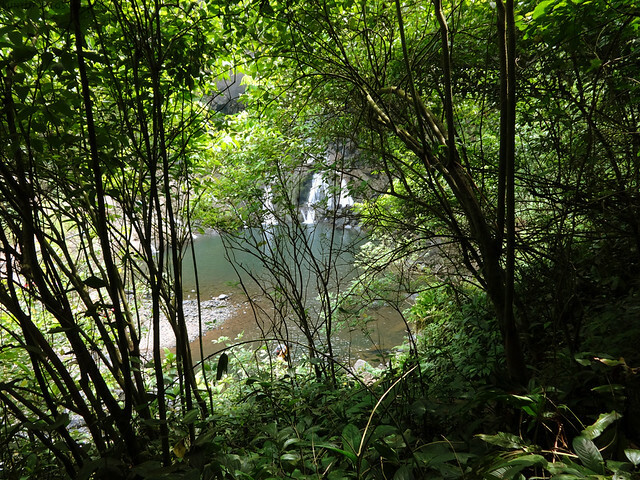 Then wow, the tall waterfall, which happens to be a namesake of a slimy fish, easily captivated my eager spirit. Its stunning beauty called us, made us want to actually see it right before our eyes. 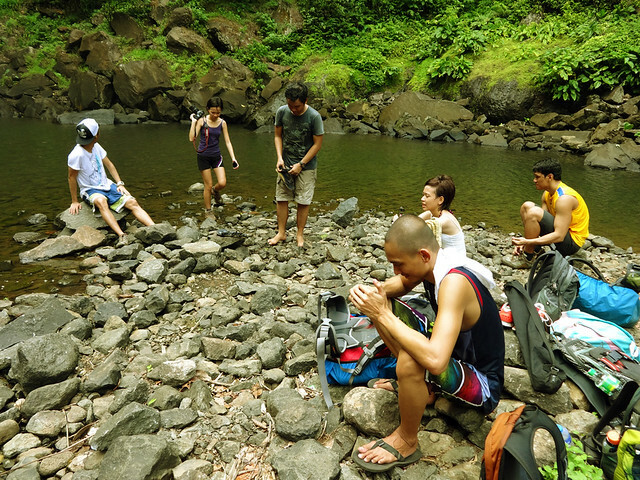 Another awesome adventure with the Tramping Philippines is on the way. 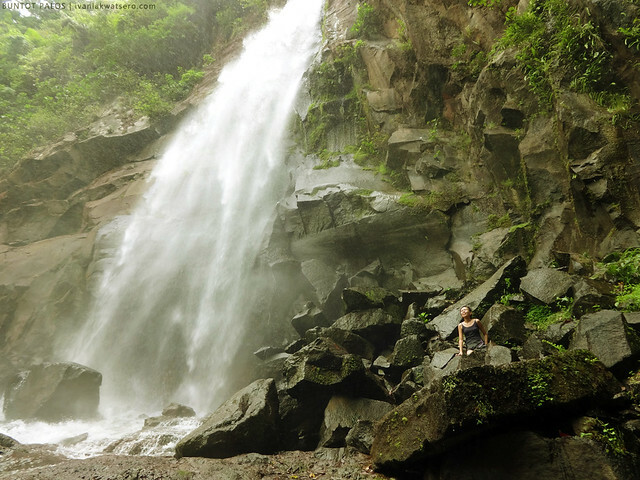 Located in the eastern part of Laguna Province, specifically in the town of Pangil, Buntot Palos is just a few hours drive (3 hrs at most) either via Manila East Road thru Rizal Province or via SLEX thru Calamba-Los Baños-Sta. Cruz. But as for us, we drove via SLEX, then through Calamba, Los Baños and Sta. Cruz until we reached the jump-off in Brgy. Balian, Pangil, Laguna at around 8AM. 8AM at the jump-off to the waterfalls. 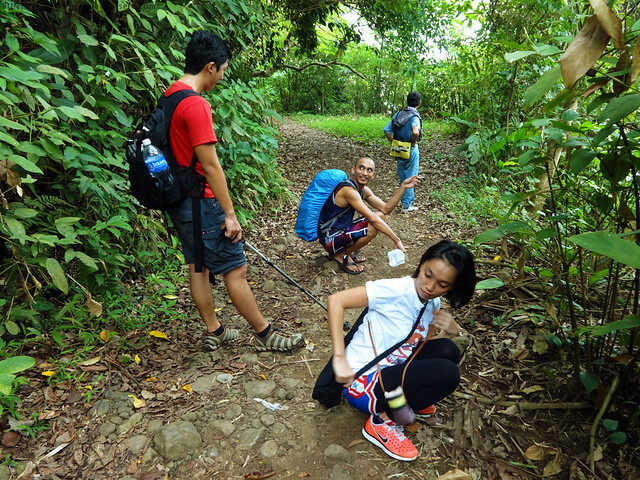 Surprisingly, there was a conflict between the barangay officials and the locals residing at the trail head to Buntot Palos. 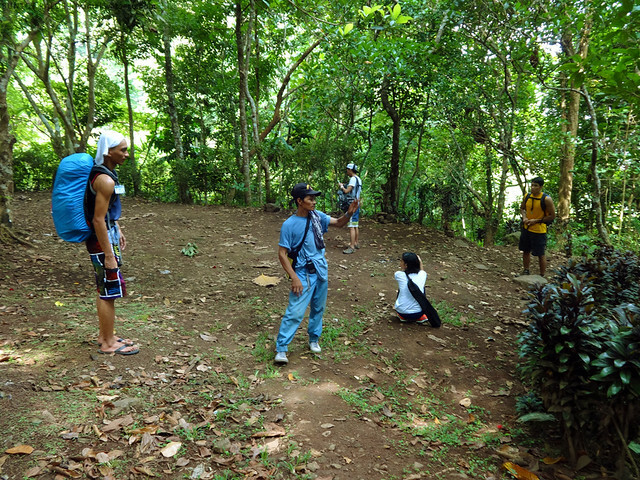 They were battling who should be guiding visitors to the falls (basta pagkakaperahan nga naman, nag-aaway-away na). So to settle the issue, we decided to just get one guide from each the parties (paid P500 for each guide). We started off at 08:30 AM on an uphill concrete road which reminded me the beginning of Mt. Sembrano. But beyond that road, the hike just went easy on a trail that's wide and a bit muddy. Locals use the path everyday so you would constantly meet them along the way. 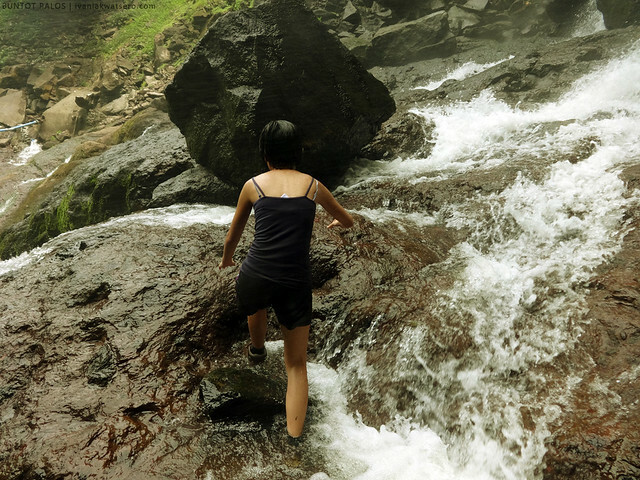 For a seasoned mountaineer, trekking up to the falls could take less than an hour. But on a relaxed pace, 2 hours should be enough. There's probably just one forking path, and water wasn't a problem since we encountered a source along the way. 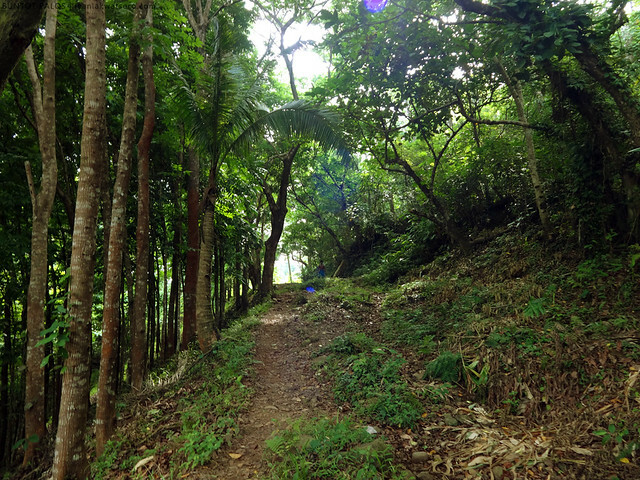 The trail runs on a typical Tagalog woodland, akin to Mt. Sembrano and Mt. Romelo. And the experience was pretty much the same minus the extreme mud. right before we take the final descent to where the dramatic cascade of water happens, a wide campsite will be encountered. Like the beating drums in an epic war ritual, the sound of the falling water invigorates me while dealing on the final descent to the site. Excites me to the max. It was 09:50 AM when we arrived and indeed, it was stunning at first glance. 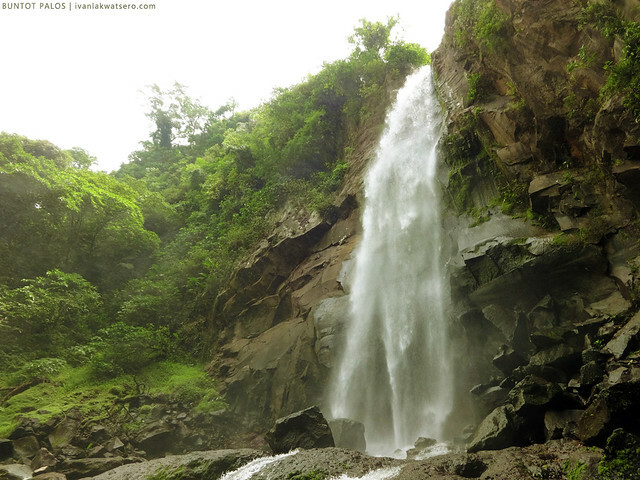 The setting is this: Buntot Palos (or for some, the Hidden falls) is almost 100 feet tall. It dramatically cascades against an edgy rocky cliff, then a wide pool catches all the water, while greens and branches adds flavor to the whole scene. Overall, it's a beautiful set up, another wonder created by nature. 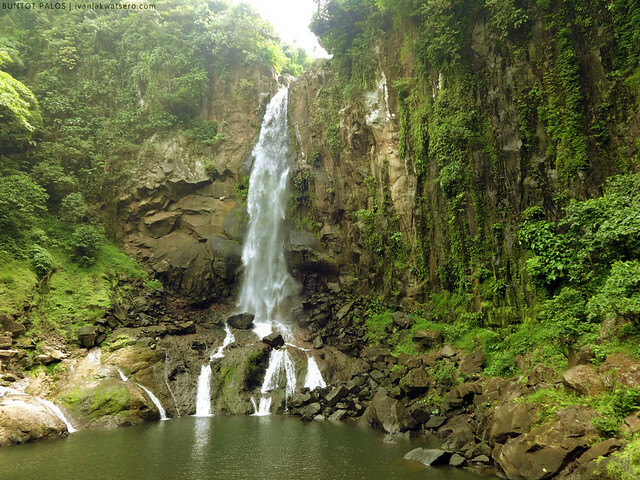 Aside from playing, swimming, walking around, acting like a doofus under the waterfall, and shooting great landscapes, there's practically nothing else to do. But we're so ok with it, I mean that's exactly what we looked for. To be one with nature is one of the loveliest activities to do in life. 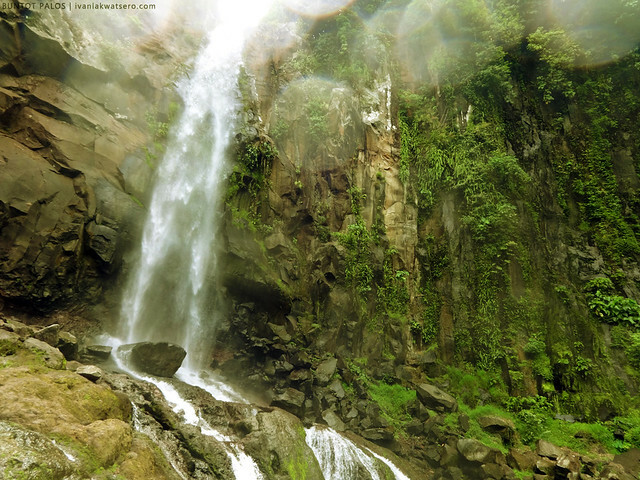 No doubt, Buntot Palos is one of my favorites among the waterfalls that I've been to. The landscape was great, the pool below was fit for swimming, and the water itself was at good state (cool and clear). We left the area at 1PM, trekked back down and freshened up at the resort. After that, at 2:30 I think, we drove again our way back to Manila, but this time via Rizal province (we went around Laguna lake). Another awesome day in this yet another beautiful waterfall. 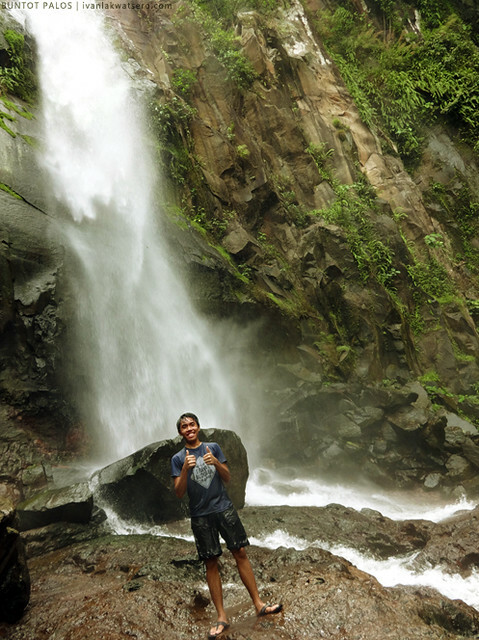 Ang sarap talaga maligo sa waterfalls after climbs..